My guest today is Pete Marshall. Pete has paddled over 7500 miles through Canada. In 2005 he and his brother canoed 2700 miles over 122 days from their home state of Minnesota to the Arctic Ocean. 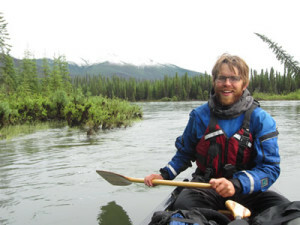 On May 8th of 2012, Pete and 3 others began a 2600-mile, 130-day canoe expedition across the isolated regions of Canada’s northern territories from Skagway Alaska to the Hudson Bay. You can learn more about this adventure and purchase a DVD of their expedition titled 2600 Above 60 at the website canoe2012.com. Pete Marshall, welcome to The Pursuit Zone.